Friends of Night Crawlers’ Association. Hilarious. Hi Ronnie–I wanted to let you know that you might want to check out my latest blog post as I’ve nominated you (finally!) for the “Kreativ Blogger” Award. Congratulations! And keep writing…I love reading your posts. I’ve heard of a lot of post offices closing in a lot of places. I don’t understand. They are such an important part of a town. And those questions on the survey seemed designed to make sure you ticked the ‘never’ box giving them exactly what they want which is to shut the place down. Very wrong! You’re right; the questions have a strange spin to them. They can justify closing when they receive so many forms with “never” checked. I will be happy to research the weight scales at the disappearing post office. If they brave a few perhaps we can rent a U-haul truck to get them to your farm. I started out thinking what the heck? 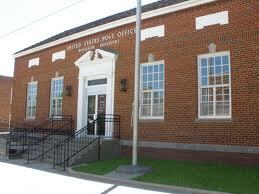 Of course they shouldn’t close the post office! By the time I got to the last sentence I was thinking You Betcha! Close that sucker! Maybe the stamp collectors gather at the post office which would be another good reason to opt out! Great post Ronnie. Thanks, Linda. I appreciate your comment. I am so torn on this issue of closing post offices. The postal workers I’ve encountered are so SNARKY, it’s hard for me to muster up much empathy for their pending unemployment. But then, if my job was under constant threat of being abolished I probably wouldn’t glow with happiness either. Wonder what would Kevin Costner do? I don’t know about Kevin Costner, but from my experience it’s a REQUIREMENT to be snarky if you want to get a job in the PO, especially if it deals with customer relations! …at least writing blogs the old way. But that’s the problem, isn’t it? This old way is the new way. It’s hard to believe something that’s been part of our infrastructure for so long is on its way out. I suppose I can adapt to the post office closing, as long as they don’t touch the library! Or another gas station. Has anyone noticed how many gas stations have closed recently? You practically have to use 1/2 tank to find one that’s open. Having been born in Morristown–although my family was actually in Florham Park–I plan to use my considerable prestige to save the post office. I looked it up. A Duck stamp is a Federal Bird Hunting and Conservation stamp. Stick one go these on your birthday cards and you can support bird conservation. I was uneasy when I got that survey too. Just the thought of long time institutions closing bothers me. I’m still not over Eptsein’s!!!! Life as we know it, or have known it is going to change, and it is a challenge to keep up. As long as Barnes and Nobles stays open , I’ll be okay, I think?! Well, I’m not going to change one iota. Forget aging, weight issues and memory loss. I am what I am and will be forever more.